Once again, the year's finest flights of speculative imagination are gathered in one extraordinary volume, compiled by acclaimed editor and anthologist David G. Hartwell. From some of the most renowned visionaries of contemporary SF -- as well as new writers who are already making an indelible mark -- comes an all-new compendium of unparalleled tales of the possible that will enthrall, astonish, terrify, and elate. 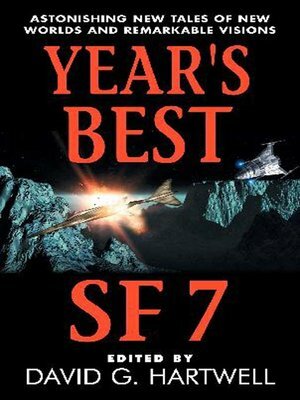 Stories of strange worlds and mind-boggling futures, of awesome discoveries and apocalyptic disasters, of universes light years distant and deep within the human consciousness, are collected here as SF's brightest lights shine more radiantly than ever before.